I wrote the first version on my book in German. 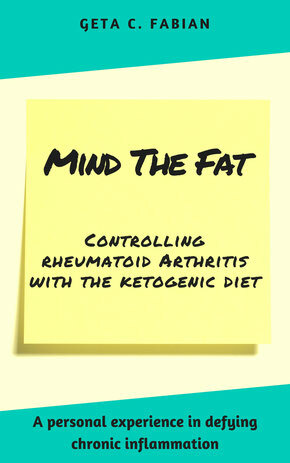 I translated the book hoping my experience with the ketogenic diet might help other sufferers of rheumatoid arthritis as it helped me. I started the ketogenic diet some two years ago. The version of the diet as I describe it in this book, did bring about the remission of my autoimmune disease. I apologize for my linguistic shortcomings in advance! Even if my command of the English language might sound odd at times, I do hope I can convey my message to you. I was diagnosed with rheumatoid arthritis in my thirties. Some six months into standard medication, I got interested in nutritional alternatives. Employing my expertise in immunology and physiology, I found my motivation in the many blogs written by people affected by autoimmunity in some way. This book is dedicated to all these courageous people. The outcome of my search for a drug-free alternative was the wholesome ketogenic diet which gave me control over my RA long-term. This book is neither a cookbook nor a guidebook to weight reduction. My target audience covers readers who are interested in the physiological basics as well as the anti-inflammatory effects of the ketogenic diet. My experiences described in this book refer mostly to my own autoimmune disease, however, the ketogenic diet can be theoretically applied to other chronic inflammatory diseases as well. The first part of the book primarily describes how the ketogenic diet helped me to control my RA symptoms without using any medication. Furthermore, I will discuss selected aspects of the ketogenic diet. The second part of the book addresses the physiological background of the ketogenic diet. I will show why glucose is fundamental to the inflammatory response, how ketones act anti-inflammatorily and how fat increases resistance against oxidative stress. " the anti-inflammatory mechanisms of the ketogenic diet. 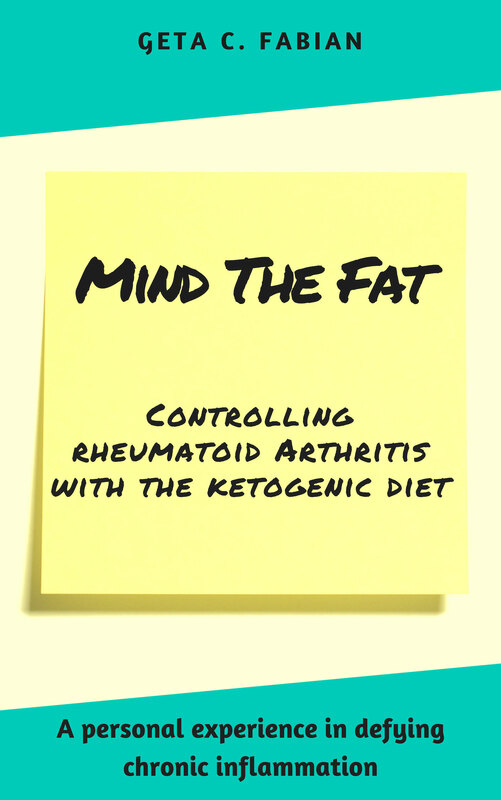 Studying the biochemistry of the ketogenic diet helped me to understand how a diet low in glucose but high in fat controls the symptoms of rheumatoid arthritis. Understanding helped me to modify the KD to my needs. The ketogenic diet did not heal my autoimmunity, but it provided me with a tool to control it efficiently, self-responsible and drug-free. (Over two years now!) I do not know what the future might have in store for me, but I have the confidence, optimism and trust to be able to adapt. For questions and feedback, please contact me: geta.c.fabian@gmail.com or on facebook/geta.c.fabian. I wish you all happiness and the best of luck!